Every single year for as long as I can remember, my mom would make trays and trays of treats at the holidays. Uncountable dozens of chocolate chip cookies, snickerdoodles, peanut butter cookies, sugar cookies, chocolate fudge, peanut butter fudge, buckeyes, and probably some things I can’t even recall. She would bake late into the night building up her cache of bakable holiday cheer. Whenever we’d go to visit or people would stop over, she’d immediately put out a tray of holiday treats. People couldn’t help but smile, and there were no left overs. Our spare bedroom was turned into a temporary cookie pantry where she’d ration out the treats throughout the season. 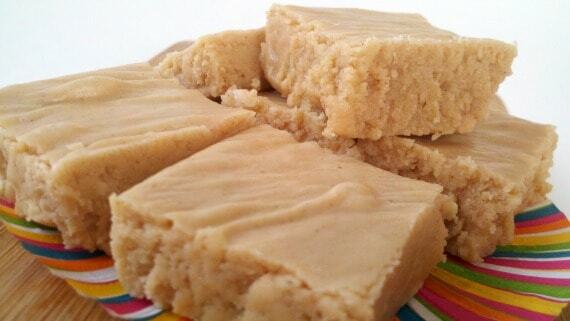 One year, she didn’t make this peanut butter fudge for Christmas Eve at Grandma Onie’s house. All my dad’s brothers revolted. My mom never again failed to make peanut butter fudge at the holidays. And she never let them forget what a hard time they gave her about it. 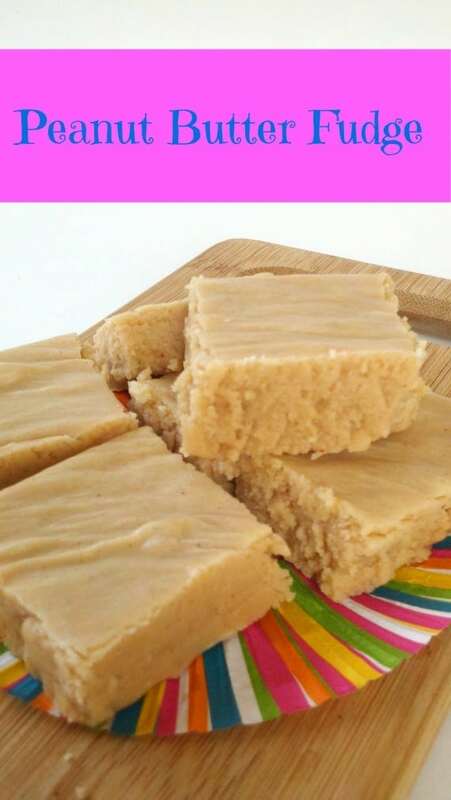 Once, as an adult in my current baker days, I was able to stand next to my mom at the holidays and watch her make fudge, but I’d never attempted to actually make her precious peanut butter fudge recipe until this weekend. I don’t know why I waited so long. It was unbelievably simple and every bit as amazing as I remembered. No wonder people got upset when she didn’t make it. This fudge is smooth and rich and soft. It’s super sweet and intensely peanut buttery. You can, and should, cut it into small pieces, which makes it easy to share with a crowd. And if you need to stock your holiday treat supply, my mom always doubled the recipe and let it set in a 9×13 inch pan. Everybody ever everywhere will want a piece. Sometimes I hesitate to bring up things that remind me of my mom. It somehow seems easier to just forget. This will be our fifth Christmas without her. Christmas was her very favorite time of year. I’m excited to be able to bring back one of her most decadent and delicious traditions. I’ll think of her every time I make this recipe. Decadent and smooth peanut butter fudge tastes exactly like the holidays. Spray or butter an 8x8 inch pan and set aside. Clip a candy thermometer onto a medium sauce pan and put it over medium heat. Add sugar and evaporated milk and stir to combine. Heat mixture to the soft ball stage (234 degrees F), stirring frequently. Once it starts to bubble, I stir it constantly. Either before you start to boil the sugar or just after you add it to the pan, measure out your marshmallow creme, peanut butter, and vanilla. Just put it in a cereal bowl, so it will be ready to add all at once later. As soon as your sugar mixture reaches the proper temperature, remove it from the heat and add remaining ingredients. Stir until smooth. This could take a while, but just keep working at it until it all comes together. Pour the fudge into your waiting pan and allow it to cool. I let mine sit at room temp overnight, but then put it in the fridge. It's still 80 degrees in my kitchen. If you live in a cool place, there's no need to refrigerate it. Once it's set, cut the fudge six times in each direction, gently remove from the pan, and stand back and see how long it lasts. Make sure you prepare everything before your sugar mixture starts to boil. Once you reach that point, everything needs to happen very quickly, so get ready. This was so amazing. I made it to give away as part of Christmas Goody Baskets and took a lot of willpower not to be selfish and keep it all for myself. I totally know what you mean. It’s so addicting. I just can’t stop myself. I hope you love it! It’s great to be able to have a connection with those we’ve lost. 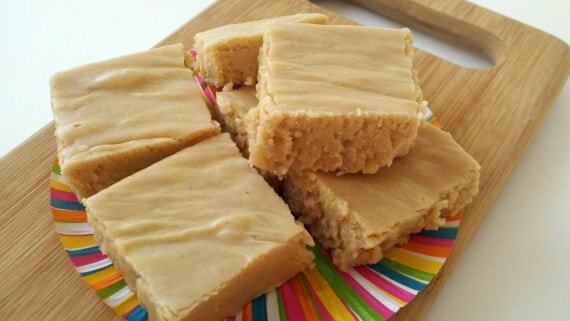 I haven’t made fudge in years, but after seeing this, I may just have to make it soon! I have been fighting my peanut butter fudge for too long. I was looking for a good recipe. Yours is similar to my chocolate. I have butter in my chocolate recipe and I never thought to take it out! Thanks to you and your mom for fixing my issue. I hope it works as well as it has for me. It’s absolutely one of my favorite things to eat.